Tenants’ rights are top of mind in New York City right now in a big way. As affordable housing stock increases throughout the five boroughs, it seems as though the city government is taking a lead on ensuring the safety and financial wellbeing of local residents. 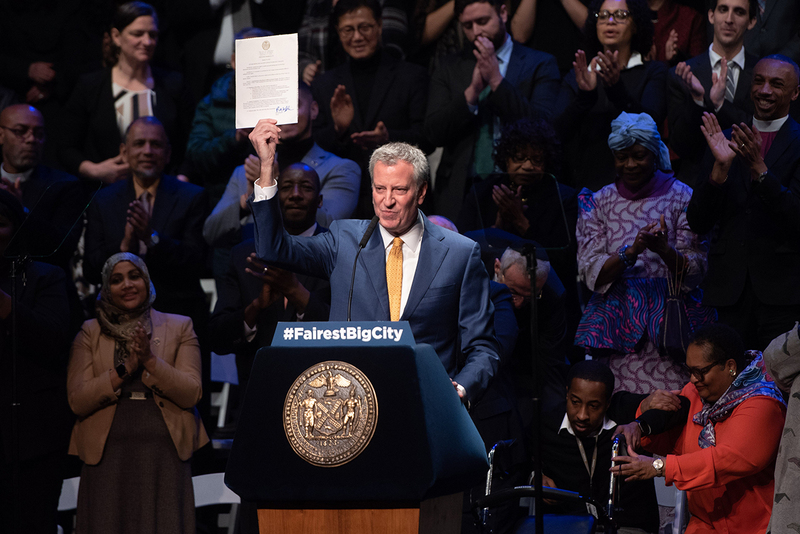 Today in his sixth annual State of the City address, Mayor Bill de Blasio signed an executive order to establish the new Office of Tenant Protection, a group that would act as a liaison between different housing and building agencies in the city. It will launch at the end of this year and receive an operating budget of $450,000, according to The Real Deal. Once up and running, the office will review city data and tenant complaints in order to determine which landlords need more oversight. In some cases, the city will be able to assume control of buildings entirely. The plan is part of a set of initiatives the mayor is touting to make New York the #FairestBigCity in the nation. In recent years, the city has set up similar offices dedicated to helping tenants, such as the Office of Tenant Advocate, which came online in mid-2017 and is operated through the Department of Buildings. As New Yorkers experience serious disturbances or harassment from construction, they can call upon the OTA for assistance. The city’s Department of Housing Preservation and Department now provides equal help through the new Tenant Anti-Harassment Unit. In addition to these new direct-help government groups, de Blasio announced in December a multi-billion plan to fix and preserve the struggling New York City Housing Authority, an agency that had a particularly bad year providing quality affordable housing for its low-income residents. Other steps outside the mayor’s office are being taken to crack down on private and public tenant protection. In November, the New York City Council began reviewing 18 big bills to halt abusive practices made by local landlords regarding bad buyouts, false documentation, and incorrect permit filing. Learn more about the individual bills here.